While we could find no mention of Reto Weber’s part-played in PANArt’s 2013 published book, Hang: Sound Sculpture. Delve back through older resources and you'll find numerous references as to the Swiss percussionist, Reto Weber, being credited as being the man who first suggested the idea of an instrument like the Hang / Handpan, to steel-instrument manufacturers PANArt. 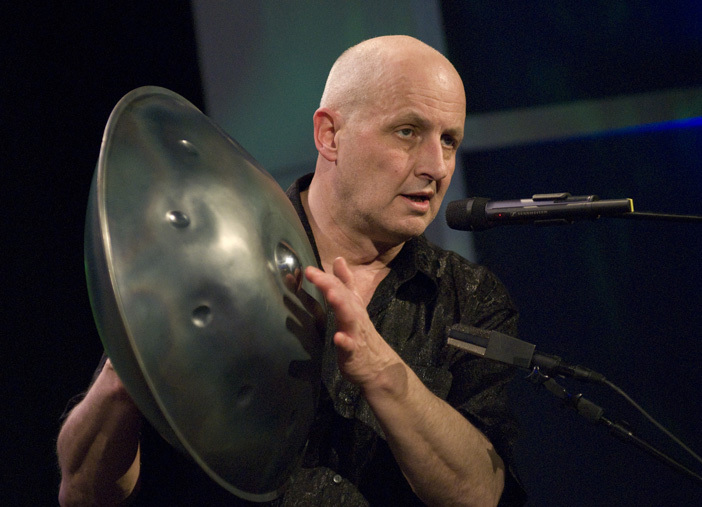 Expressing a desire for a “sounding pot in steel with some notes to play with the hands” Which is why back in 2011, we described Reto Weber, as being the “Spark that started a Handpan fire”. And while evidence appears to suggest (albeit fragmented and incomplete) that an interview published in the Swiss music magazine, Swiss Musikzeitung, named Reto, as the inventor of the Hang. Prompting Hang-maker, Felix Rohner to respond - ‘The slope is not the result of an idea’, ‘The history of the Hang is not the story of an Invention in the classical sense an instrument that such a world great response trigger as the Hang, you can not invent’. It certainly seems possible that without Reto’s suggestion, the Hang might never have been born. And whether you consider the man with the raw idea, or the man who takes that raw idea, and beats it into life with a hammer, to be the inventor - we leave to you.